Mallorca is a peaceful Mediterranean paradise that offers plenty of beaches and beautiful nature. You will also be impressed by its spectacular artistic and historical heritage and the animated cultural life to be found on every corner. 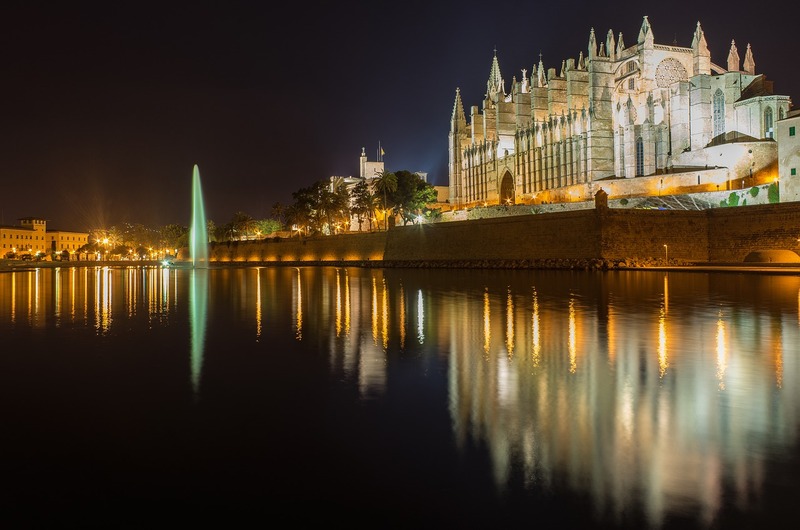 There are many fascinating alternatives spread over the island of Mallorca such as medieval fortresses, prehistoric remains, renaissance palaces and gothic buildings. Whatever the time of year, if you visit the island of Mallorca you will always be surprised. Alternatively, if you are looking to make a permanent home in Mallorca, check out our latest properties for sale throughout the island. With average temperatures between 18 to 23°C in June, Mallorca is a great place to join in on local festivities. Nit del Foc is one of the biggest fiestas to take place in Mallorca which takes place in June every year. This event is to celebrate John the Baptist and is a major bank holiday event on the island. During the evening Mallorca is lit up with street and beach bonfires, locals gather to enjoy food and drink, and there are local rituals to watch and participate in. July is when summer is in full flow and Mallorca is the place to be, especially on a prestige calm evening. From the beginning of July to the end of August you can experience Mallorca’s popular open air cinema which is located in the heart of Palma. For over 30 years, locals and visitors alike have visited this outdoor cinema to watch a variety of movies such as, old classics, animations, documentaries and much more. All movies are played in their own language and offer Spanish subtitles. The sizzling summer isn’t complete without experiencing what Mallorca has to offer in August. In addition to the open-air cinema, in August you can experience the Mallorca Regatta which takes place in the bay of the capital, Palma. Here, sailing enthusiasts and non-sailors gather around the bay to witness the finest sailing yachts racing along the coastline. This is certainly an event you can spend the whole day enjoying here in Mallorca. Other events in August consist of music festivals such as the Pollenca festival and the Tramuntana Rocks festival. As Summer draws to a close, you can still expect to see Mallorca flourish in its glorious sunshine. If you are looking to stretch out the summer fun then the Festes del Rei en Jaume festival that takes place at the end of August/beginning of September is ideal for you! This fiesta marks the landing of Jamie I at Santa Ponca in 1229 and the reconquest of the island. During this event, you will experience a variety of festivities such as battle recreations, parades and much more! What more could you ask for? To spend your summer months embracing the Mallorcan culture. If you are looking to make Mallorca your home, don’t hesitate to get in touch or view our range of properties for sale around the island today.